Inside a storefront Chinese restaurant in upstate New York, neon light from a multicolored window sign glowed on the face of an extremist plotting mass murder. He had been seeking backing for his attack and, at this small establishment in Scotia, was meeting with a man who had agreed to take part in his scheme to build a radiation device, a weapon of mass destruction that would slowly and painfully kill anyone who walked near it. But there would be no attack. The purported accomplice at Ming’s Flavor restaurant in June 2012 was an FBI informant, and the discussion had been recorded. In the months that followed, another man joined the plot. Finally, in June 2013, with the conspirators hard at work on their ghastly weapon, armed FBI agents swooped in, storming a warehouse in Schaghticoke and arresting them. Their names were Glen and Eric. Clearly, these were not the typical “Islamic terrorists” described in the boogeyman stories of American politicians who exploit fear for votes. Glendon Crawford, the industrial mechanic who conceived the plan, has all the panache of a Macy’s shoe salesman; Eric Feight, a software engineer who helped build the device, looks like a less impish version of Kurt Vonnegut. But their harmless appearance belies their beliefs—Crawford was a member of the Ku Klux Klan, and the plot he hatched with Feight involved killing scores of Muslims, as well as officials at the governor’s mansion in Albany, New York and at the White House. They and untold thousands like them are the extremists who hide among us, the right-wing militants who, since 2002, have killed more people in the United States than jihadis have. 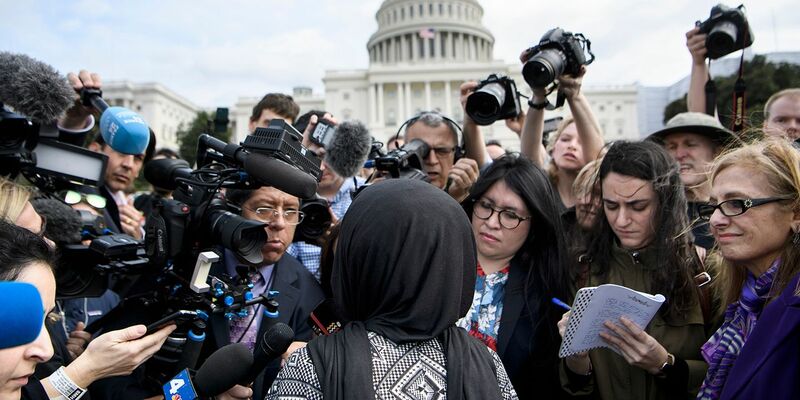 In that time, according to New America, a Washington think tank, Islamists launched nine attacks that murdered 45, while the right-wing extremists struck 18 times, leaving 48 dead. These Americans thrive on hate and conspiracy theories, many fed to them by politicians and commentators who blithely blather about government concentration camps and impending martial law and plans to seize guns and other dystopian gibberish, apparently unaware there are people listening who don’t know it’s all lies. These extremists turn to violence—against minorities, non-Christians, abortion providers, government officials—in what they believe is a fight to save America. And that potential for violence is escalating every day. “Law enforcement agencies in the United States consider anti-government violent extremists, not radicalized Muslims, to be the most severe threat of political violence that they face,” the Triangle Center on Terrorism and Homeland Security reported this past June, based on surveys of 382 law enforcement groups. The problem is getting worse, although few outside of law enforcement know it. Multiple confidential sources notified the FBI last year that militia members have been conducting surveillance on Muslim schools, community centers and mosques in nine states for what one informant described as “operational purposes.” Informants also notified federal law enforcement that Mississippi militia extremists discussed kidnapping and beheading a Muslim, then posting a video of the decapitation on the Internet. The FBI also learned that right-wing extremists have created bogus law enforcement and diplomatic identifications, not because these radicals want to pretend to be police and ambassadors, but because they believe they hold those positions in a government they have created within the United States. The unusual—and often daffy—world view of some right-wing extremists was on daily display during the January armed takeover of federal facilities at the Malheur National Wildlife Refuge in Oregon. Expressing dismay that two ranchers convicted of arson were ordered to serve out the remainder of their mandatory minimum prison sentences, members of various militia groups occupied a building at the wildlife refuge, declaring their willingness to fight the government and, if necessary, die for their cause. They proclaimed that the federal government was tyrannical, that the Constitution is under siege. The Malheur occupiers were belittled on late night talk shows and social media as “y’all-Qaeda” and “yee-haw-dists,” but what was unfolding in Oregon wasn’t funny—it was frightening. These people speak of martyrdom, bloodbaths and killings, sentiments that can be heard on any Islamist recruitment video. 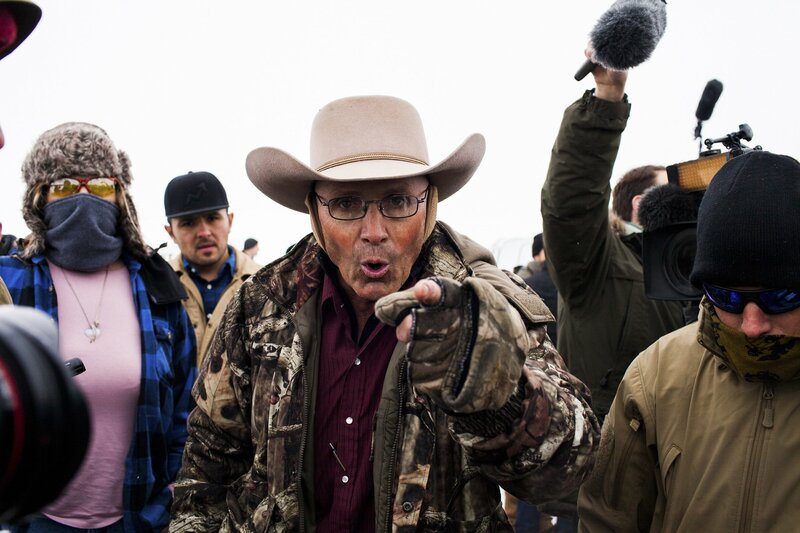 And when law enforcement finally took action on January 26 in a mass arrest, one of the militia members, Robert “LaVoy” Finicum—who had proclaimed he would rather die than go to jail—was shot dead. And while those right-wing militia members were occupying federal land, other extremists around the country were hard at work. 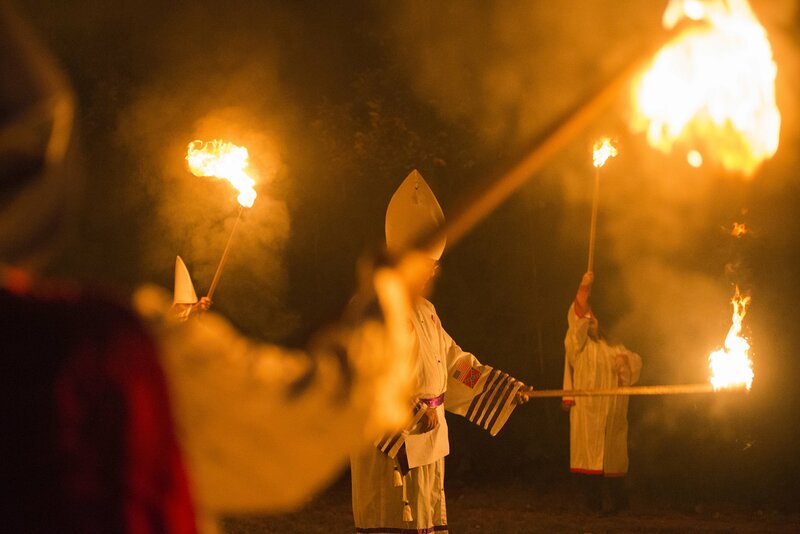 Fliers seeking recruits for the KKK appeared on lawns and doors in Alabama, California, Georgia, New Jersey and Oklahoma. In Johannesburg, California, police discovered bombs and booby traps in the home of a man who threatened to blow up the Bureau of Land Management (BLM) and other federal buildings. In Colorado Springs, a white supremacist suspected of being connected to the 2013 murder of Colorado’s prison chief was shot and wounded in a firefight with police. In Lafayette, Louisiana, officials released the diary of the man who killed two people at a movie theater this past summer—it was filled with rage against the federal government and praise for a racist killer. In Oakdale, California, two honey farmers were charged with fraud involving a scheme by extremists who declare they are not bound by the laws of any government. And the day after the first arrests of the Malheur occupiers, a New Hampshire man who told an FBI informant he was part of a group that wanted to bring back “the original Constitution,” and had as much as $200,000 on hand for explosives and rockets, was taken into custody after he illegally purchased hand grenades. Who are these right-wing militants? And what makes them believe Americans have to engage in armed combat with their own government rather than vote, kill their fellow citizens rather than tolerate differences, blow up buildings rather than just get a job? 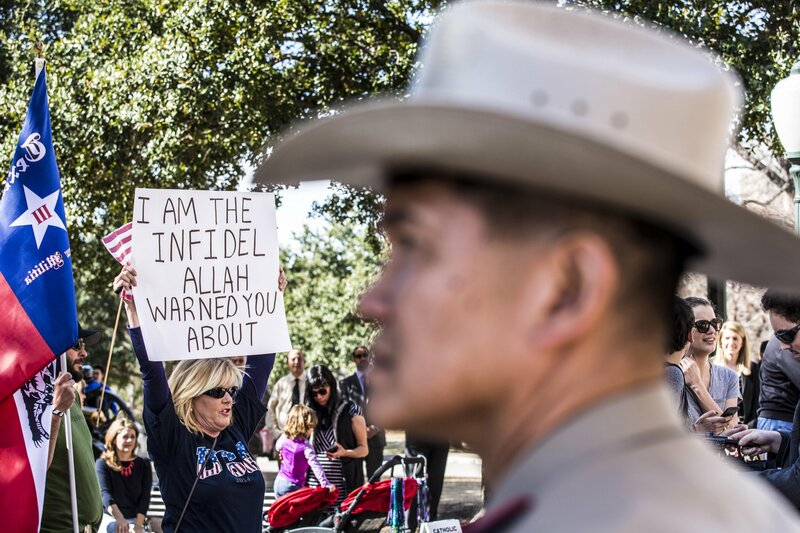 Billions of words have been written and spoken on violent Islamic extremists. The time has come to do the same for the good old-fashioned Americans who may pose the greatest threat to us all. They aren’t all like Timothy McVeigh. 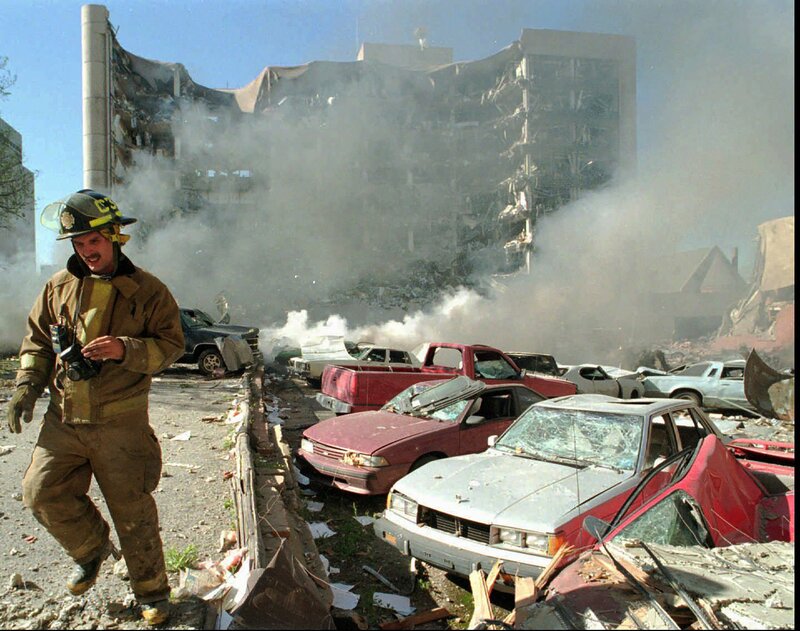 McVeigh, the infamous anti-government extremist, murdered 168 people in 1995 when he detonated a truck bomb in front of the Alfred P. Murrah Federal Building in Oklahoma City. But not all of these violent right-wing radicals agree with McVeigh’s beliefs or have the capability to execute such a devastating attack. In fact, these militants are a surprisingly diverse lot. Experts say there are three distinct groups, including some factions that despise one another. 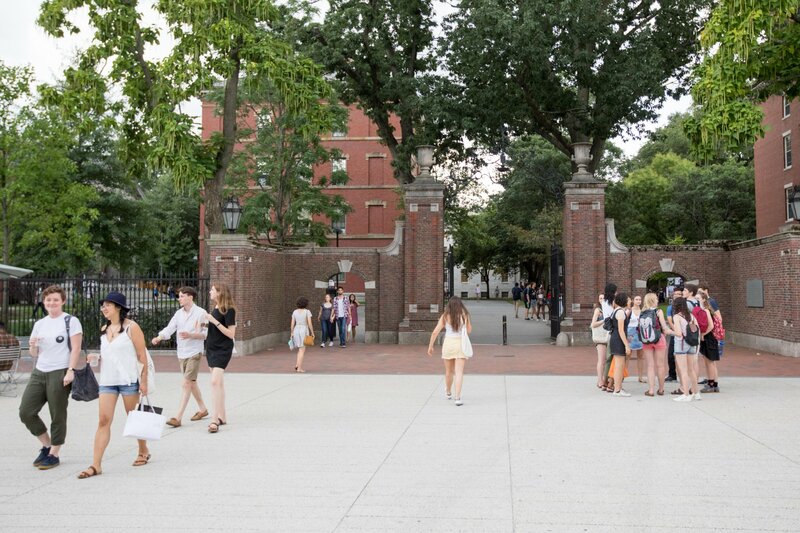 According to Arie Perliger, director of terrorism studies at the Combating Terrorism Center at West Point, the three ideologies within the violent American far-right are racist, anti-federalist and fundamentalist. Each has subgroups—the racists include white supremacy groups such as the KKK, neo-Nazis and skinheads, which can differ in subtle ways. The anti-federalists include militias, self-defined “patriot” groups and what are so-called “sovereign citizens,’’ who hold that they are legally bound only by their personal interpretation of common law and are otherwise not subject to federal, state or local laws. The fundamentalists are primarily Christian identity groups that believe the biblical war of good vs. evil is between descendants of Anglo-Saxon nations and all other ethnic groups. Tangential to the fundamentalists are the anti-abortion attackers, who also invoke religion as a foundational motive for their violence. These disparate groups of people—violent and nonviolent—pine for different versions of a highly idealized past. The granddaddy of the three in the United States is the racist movement, the modern iteration of which is usually traced to the formation of the KKK in 1865. The Christian Identity movement began a few decades later, with the emergence of believers who subscribed to the theology of John Wilson, a British man who argued that the lost tribes of Israel had settled in northern Europe. The anti-federalists are much younger, exploding onto the scene in the early 1990s with prominent groups such as the Militia of Montana and the Michigan Militia; many experts maintain that the movement was a product of the financial crisis for farms in the 1980s, rapid economic and cultural change, and the adoption of gun control and environmental protection laws. In recent years, an explosion in the number of militias has been linked by experts to the beginning of the Great Recession in December 2007 and the election of Barack Obama months later. 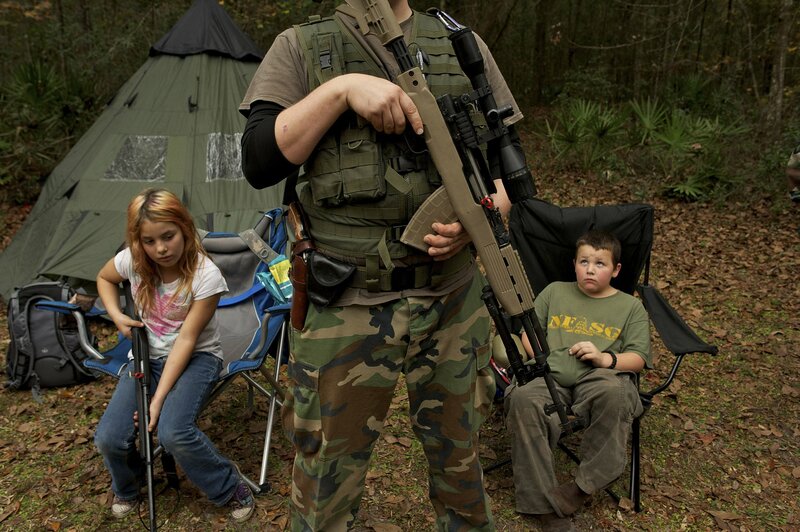 In 2008, according to the Southern Poverty Law Center, there were 42 militia groups; today, there are 276. And although they are frequently dismissed as people with crazy beliefs, right-wing extremists often seem like the guy next door. While experts say many of these individuals are paranoid and narcissistic, with strong anti-democratic tendencies, “the most common trait among terrorists is normalcy,” says Perliger of West Point. What drives them, according to studies, is not so much ideology as their social network. When friends and associates all proclaim that the government is destroying freedom, or that all Muslims are terrorists, or that minorities are dragging down the country, the social pressure to conform with that opinion is intense. Making it worse is that many of these extremists base their views on falsehoods. At a 2009 speech in Hamilton, Montana, a militia leader told an assembled crowd, “You know how the Oxford English Dictionary defines terrorism? ‘Government by intimidation.’ That is profound.” Not really, because it’s not true. Oxford defines terrorism as all other dictionaries do: “the use of violence and intimidation in the pursuit of political aims.” People setting off bombs to trigger a revolution meet this definition, while the government that clears the area after a blast does not. But those zealots in Hamilton were told a fairy tale and believed it. The rationales and “facts” cited by the sovereign citizens are often so convoluted that they would be funny if they didn’t get people killed. The radicals base their beliefs on variations of this conspiracy theory: Many years ago, some outside force infiltrated the federal government and replaced it with an illegitimate and tyrannical one. Then, that “illegitimate government” enslaved all Americans by using the 14th Amendment to create “citizens of the United States” who had no rights. The sovereign citizens believe Americans are tricked into accepting their designation as citizens of the United States by carrying driver’s licenses and Social Security cards, which are hidden contracts surrendering personal sovereignty to the government. Some of these sovereign citizens won’t use ZIP codes, because they think that might constitute a contract with the illegitimate federal government. Others insert punctuation, like commas or periods, to separate their first and middle names from their last name, which they consider to be their government-given name. Some gullible people listen to the endless flow of arguments, peppered with “freedom” and “tyranny,” and come away believing they do not have to pay taxes, or have money to cover the checks they write or otherwise obey the law. As a result, lots of sovereign citizens end up under criminal investigation, leading to trials in which judges rub their temples while listening to droning about some grand conspiracy. But in the worst cases, all that simpleminded gibberish drives believers to violence, particularly against law enforcement during traffic stops. The most famous of those cases: the two Arkansas police officers killed by sovereign citizen Joseph Kane in 2010 after they pulled him over. Kane mowed them down with a variant of an AK-47. Then there are the militia groups, whose pronounced fealty to the Constitution is exceeded only by their apparent refusal to read it. They too throw out a lot of sentences with “freedom” and “tyranny” (in fact, a decent portion of sovereign citizens are also militia members), then wave around their pocket version of the Constitution, but the Founding Fathers would be stunned to hear the mumbo jumbo mouthed by militia members about their greatest creation. Start with the obvious: The Constitution is not some philosophical tract composed with soaring words about freedom; it is the blueprint dictating how the American government is supposed to function, while the amendments are the enumeration of citizens’ rights. The recent flurries of militia madness, with camo-clad warriors spewing angrily about constitutional freedoms, run directly counter to the words of the document those people claim to cherish. 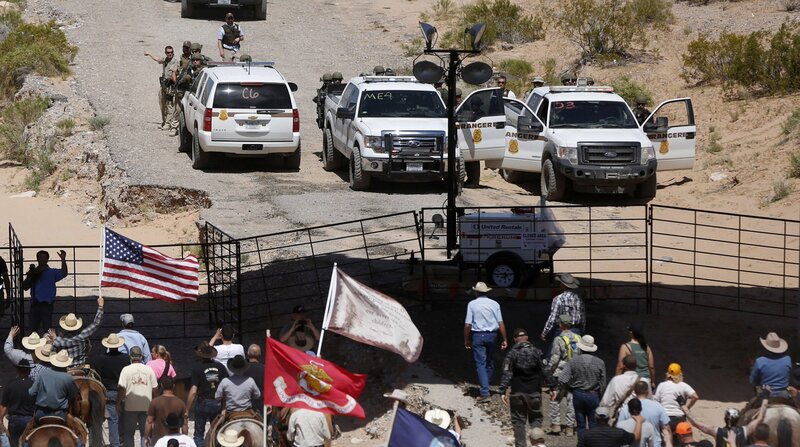 Consider the Bundy standoff in 2014. It began when the government decided to finally take action against Cliven Bundy, a Nevada rancher who had grazed his cattle on federal lands for two decades while refusing to pay the required fees—racking up a bill in excess of $1 million. When Bundy sent his cattle back onto protected lands for a snack, officials with the BLM began to round them up. Bundy spoke publicly about this “outrage” using the words of the sovereign citizen movement, which led anti-federalist groups such as the Oath Keepers, the White Mountain Militia and the Praetorian Guard to come running, guns drawn. In no time, Bundy the scofflaw was a hero of the militia movement, as he declared he did not recognize federal authority over the land. The Constitution and freedom were at stake, he averred. Except they weren’t. In fact, the issue beneath this battle of wills, with Bundy’s supporters proclaiming their willingness to murder federal agents if need be, is directly addressed in the Constitution. In Article 4, Section 3, Clause 2, the Constitution grants Congress full authority to make all rules and regulations for the management of federal lands. In the early 20th century, Congress used that power to direct the executive branch to handle the operations and planning for those lands. The Legislature, of course, still retains the constitutional authority to stop the president from playing any role in federal land management, but it has not. In other words, Bundy and his supporters, by proclaiming the federal government had no authority over federal land, were spitting on the Constitution. The same foolishness was behind the armed occupation at the Malheur refuge spearheaded by Bundy’s sons, Ammon and Ryan. Soon after the occupation began, the issue of the ranchers who had been sent to prison for arson slipped in significance as militia members demanded that federal land be turned over to the people and urged ranchers to tear up leases through which they pay grazing fees. Once again, militia members claimed this was done in the name of the Constitution, despite the document’s words that make it clear their beliefs are wrong. Conspiracy gourmand Alex Jones trotted out a new theory for the listeners of his radio show on March 19, 2015: The federal government was preparing to invade Texas. 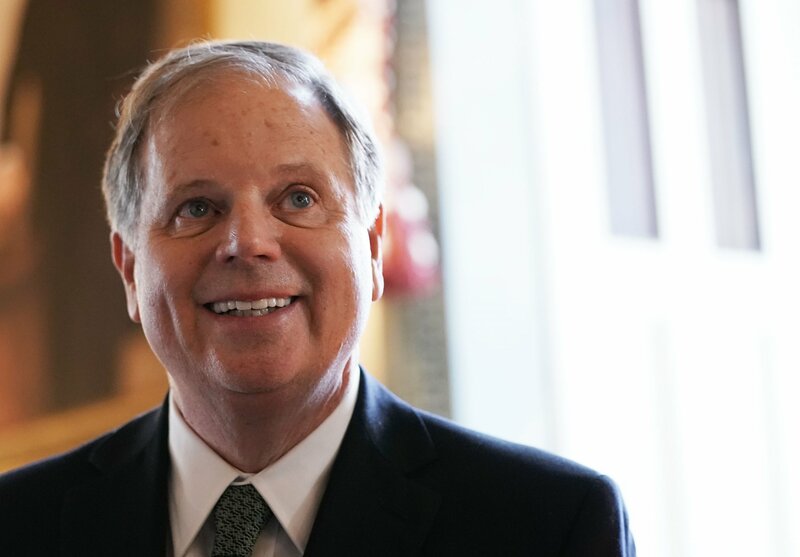 “This is going to be hellish," Jones said. "Now this is just a cover for deploying the military on the streets…. This is an invasion.” The reason? Either an impending financial collapse or the first step in Obama’s plan to not relinquish the presidency at the end of his second term. 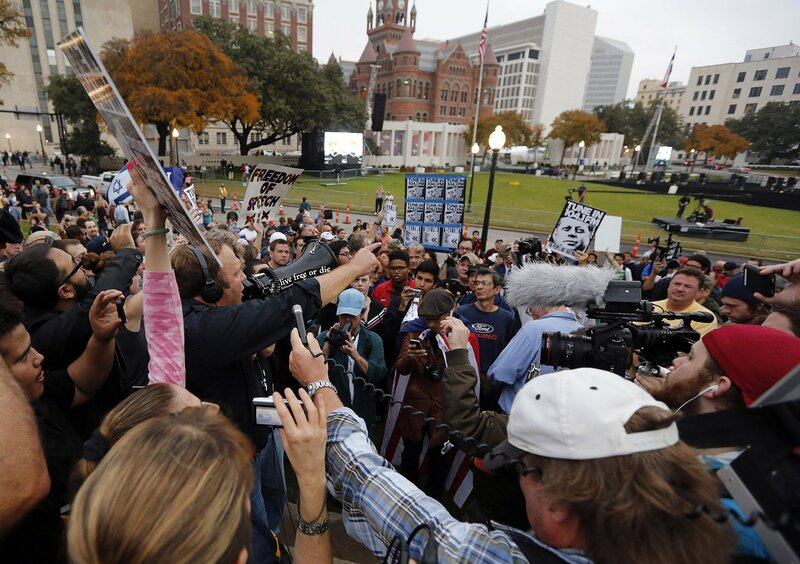 Message boards and other online forums for right-wing extremists exploded with the news. The military was undertaking what it deemed to be a training exercise, which it called Jade Helm 15. A map that had been printed in newspapers weeks before to inform residents about the exercise was declared to be a secret record that showed the military was calling Texas and Utah enemy territory—the kind of description any reasonable person would expect for documents in this kind of training mission. Over the next week, the only media to take note of the online hysteria about Jade Helm were a couple of newspapers that mercilessly ridiculed it. Then, on March 26, Megyn Kelly, an anchor at Fox News, introduced the first national news story about the Jade Helm panic. “While the military says it's just training soldiers for the realities of war, critics say the Army is preparing for modern-day martial law,’’ she said. At about that same time, Robert Doggart, an anti-government extremist in Tennessee, was on the phone with a militia sympathizer in Texas. The two discussed Doggart’s evolving plan to launch an attack on a heavily Muslim community near Hancock, New York, called Islamberg. They thought martial law would be declared in Texas and probably Utah, and that development should play a big role in the plot. All of Doggart’s words were recorded. The FBI had caught wind of the Islamberg plot and had placed a wiretap on his phone days before. Doggart was arrested on April 10, but no one publicly linked his plan to the Jade Helm conspiracy theory. And so some politicians started playing games again, suggesting with winks and nods that perhaps Obama was about to impose martial law. 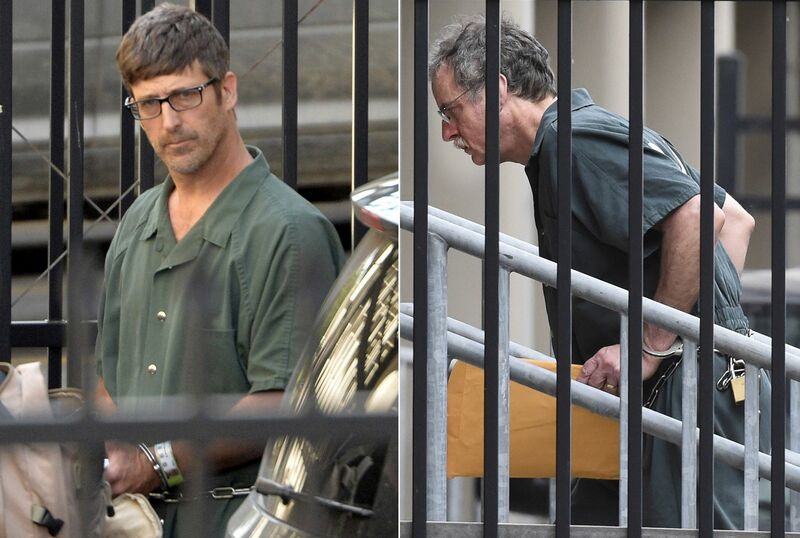 Meanwhile, in Gastonia, North Carolina, two anti-government extremists—who had their fears about Jade Helm reinforced by the words and actions of politicians like Abbott, Cruz and Gohmert—were working to construct bombs they could use on American troops when martial law was declared. The plot was allegedly conceived by Walter Eugene Litteral, who had arranged for a pal to construct the bombs. Authorities say Litteral wanted to pack tennis balls with smokeless rifle powder and a binary explosive that can be detonated with a gunshot; then, for added destructive power, Litteral wanted to tape nails to the outside of the balls, so he could shoot them from a distance and blow shrapnel into a passing soldier. He planned to do the same with coffee cans, which he would load with ball bearings. As the weeks passed, the swirl of rumors about impending martial law grew more intense in the extremist online forums. Authorities say Litteral acquired ammunition for a .338 caliber rifle, handheld radios with throat microphones for communication, military issue Kevlar helmets, body armor vests and cloth headgear designed to expose only parts of the face. A third conspirator joined up, agreeing to help build pipe bombs. But the attack never took place. Someone Litteral approached for help instead alerted the FBI, which arrested the men on August 3. Once again, America got lucky. 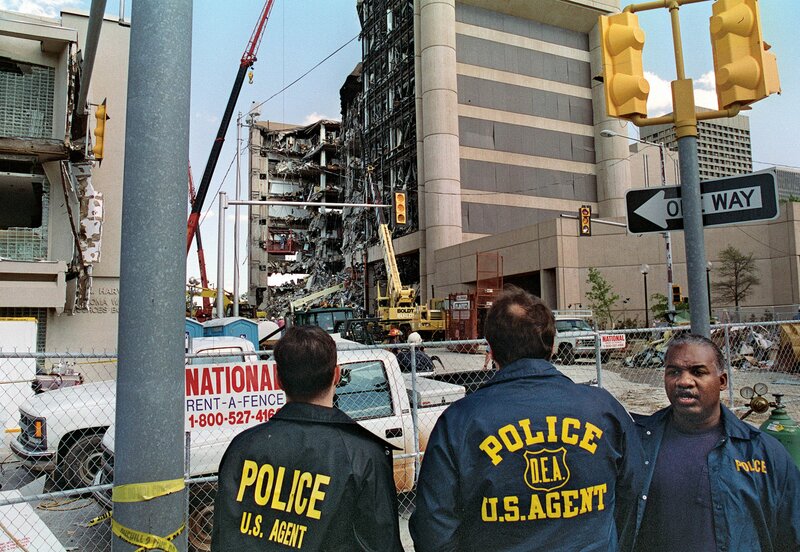 There has been no new attack on the scale of the Oklahoma City bombing conducted by McVeigh. But that is not for lack of trying. There was the so-called “241 Plan” in 2011, which involved murdering two state officials if one militia member was killed. There was the right-wing extremist plot in 2014 to blow up buildings and power plants in hopes of sparking a widespread revolt against the government. Another foiled attack that same year intended to assassinate police officers and blow up the Tremonton Police Department in Utah, again with the expectation the public would rise up in the aftermath. Then there was the Georgia militia plot—anti-government radicals planned the murder of government employees and began an effort to develop ricin, a deadly toxin, with the intent of spreading it in Washington, D.C. For months, as the FBI listened in with the help of a cooperating witness, the group talked about the best poisons, how to deliver them and the ways to kill the most people. And if nothing else worked, suggested Frederick Thomas, the ringleader of the group, they could always go back to the tried and true. 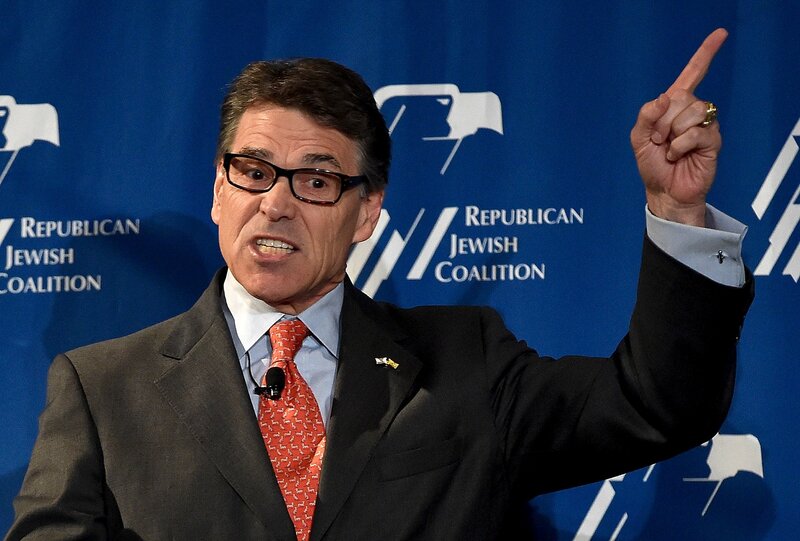 "We'd have to blow the whole building, like Timothy McVeigh." It’s possible the same factors fueling the growth in right-wing extremism are what’s tearing apart the Republican Party. Statistics show that the violence of right-wing extremists goes up when Republicans control at least one house of Congress. The reason, according to an analytical report conducted for West Point, might be “relative deprivation, which occurs when the high expectations of far-right activists during a conservative Legislature are not fulfilled.” In other words, these radicals expect to be ignored when Democrats are in charge, but when Republicans in power fail to champion the extremist cause, attacking the government strikes them as the only remaining option. If true, the deprivation must be monstrous now. 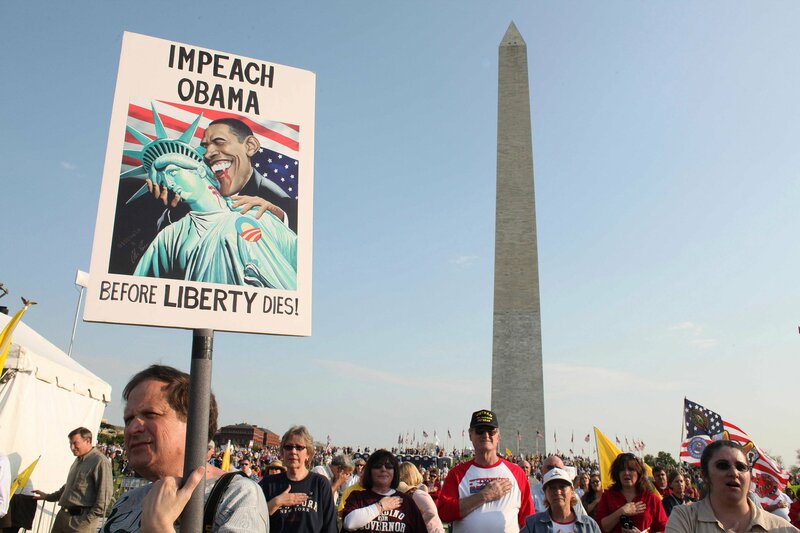 Think back: How many times have Republican politicians told their followers Obama could be impeached? How many times did they suggest he was a Muslim or wasn’t born in this country? How many times did they say he lied to cover something up in Benghazi? How many times did they say his health care policy included death panels? How many times did they say he was committing crimes or shoving through policies that would kill people? Then, in 2009, the Republicans directly—and almost certainly inadvertently—identified themselves as aligned with the dangerous radicals. The Department of Homeland Security produced an analysis saying that violent right-wing extremists posed the greatest terrorist threat to the country—a report since proved true. But Republicans used this to feed into another conspiracy theory, proclaiming that the Obama administration had just deemed conservatives as a terrorist threat. To those unaware of what the report actually said, it was more evidence of a coming ideological war. To those radicals who knew, it meant establishment Republicans agreed that conservatives and violent right-wing extremists meant the same thing. Congressional hearings ensued, and terrified bureaucrats shut down the Homeland Security division that conducted the analysis of right-wing extremism, just when their knowledge was most needed. 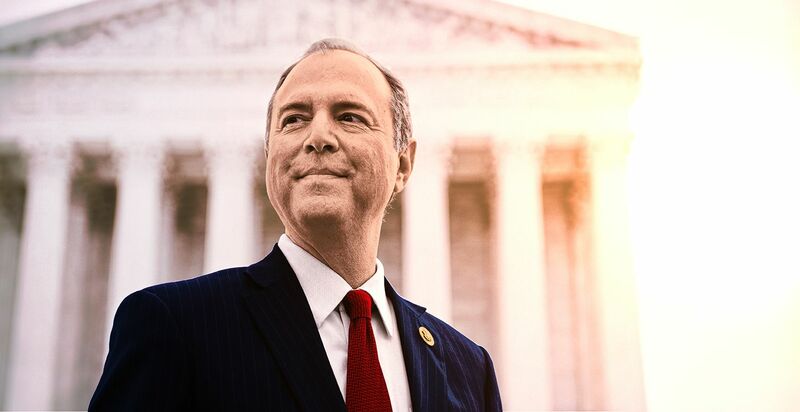 Republicans continued their drumbeat of conspiracy theories to bring out the base, capturing the House in 2010 and the Senate in 2012. And imagine what these right-wing extremists thought. Where were the impeachment proceedings? Why wasn’t Obama under arrest? The man was a murderer, a tyrant spitting on the Constitution, a fraud holding the presidency unlawfully. There were only two possible answers for the extremists: accepting that the Republicans had been lying to them, or deciding that these politicians had sold out the minute they won control. And so, the far-right wing—including the violent militants—has turned on the Republican Party. 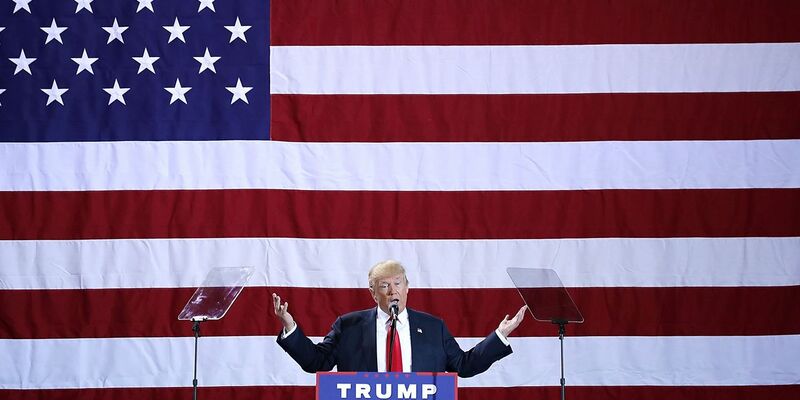 The establishment Republicans now fumble about, trying to understand why their preferred candidates are being kicked aside in favor of Donald Trump, who rages about sellout politicians and makes promises to do things that radicals adore. Forums like Stormfront fulminate with praise and devotion to Trump, while all but spitting on the more traditional candidates. The Republicans played a dangerous game by giving credence to all those conspiracy theories about Obama, a game that made them a target of the right-wing rage they engendered. They have been the author of the rise of the radicals, peaceful and violent, that in turn is tearing the party apart. Meanwhile, the right-wing extremists continue their plotting against America.